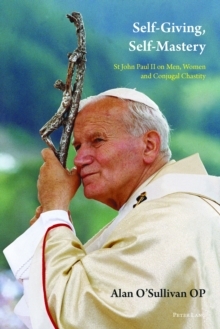 The dignity of the person has always been a key theme of Pope John Paul II. Perhaps less well known is his emphasis on self-mastery as intrinsic to such dignity. In the love of man and woman, such mastery paves the way to self-giving and provides a richer, deeper experience of the union of persons. It also gives a new sensitivity to the beauty of masculinity and femininity as sexuality is seen in its original holiness: that is, by sharing in the Creator's vision of the body. In this book, the author traces this daring portrait of human love back to the early writings of Karol Wojtyla.